Achieve firming, tightening, and lifted appearance of your face, jaw line, jowl and neck laxity, loose under-the-eye area, droopy brow lines, and saggy nasolabial creases. Syneron’s Refirme or ST head is one of the most effective treatments for these areas. 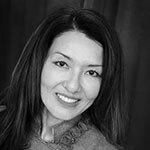 Tiffany Andersen has performed over 3,000 ST treatments during her career as a medical aesthetician. How does ST Refirme compare to other skin tightening treatments? Treatments such as Thermage and Titan typically need to be done under general anesthesia for full effects to take place. They are also time and treatment intensive and typically quite painful for many patients. With Syneron’s ST head, Tiffany is able to treat the dermal tissue within a lunch hour and without pain, allowing you to leave with firm, tight, and glowing skin—and no need for surgery. What areas are treated with ST? Typically the full face is treated, with the option to add on the neck area for additional charge. For additional benefits to treat body parts such as stomach, buttocks, or arms, skin tightening treatments are easily incorporated with Venus Freeze. What is an ST treatment like? After our master aestheticians have gone over the consent forms and taken pictures for our Before and After portfolio, they will cleanse and pre-prep the skin with an enzyme exfoliant. The exfoliant will remove the outer layer of dead skin, allowing for deeper penetration of the ST energies. For sensitive skin types, a numbing cream may be applied ten minutes prior to the enzyme peel at no additional charge. After the skin has been pre-treated, a cold conductive gel will be applied to the top layers of the skin. The treatment tip will be dragged through the cold gel, and pulses will target certain vectors of the face. Multiple passes will be done to each vector for best results. Normally there is little-to-no pain, but some areas may have more sensitivity than others. The average patient describes each pulse as a warm snap to the skin. After the skin has developed a slight warmth to it, the cooling gel is removed and a serum of bio-peptides and vitamins A,B,C,D, & E is applied to the skin and infused with pure oxygen. Oxygen will facilitate a quicker recovery of dermal tissue which also allows the aesthetician to be more aggressive during the ST treatment –– the dermal tissue is properly treated, cooled, and infused with a massive amount of nutrients and oxygen afterwards. A chemical-free zinc sun block follows the treatment. What kind of results can I expect from an ST treatment? Clients sometimes experience a slight redness of the skin or a warm feeling that resembles a slight sunburn for a few hours after the treatment. There may be some slight edema (swelling) for a few hours as well. Hydrocortisone can be applied to the sites to minimize these effects. All normal activities can be resumed immediately, though we recommend staying out of the sun for twenty-four hours before and after each treatment. Clients should notice a lifting and tightening of lax skin areas and a fuller, plumper look from the collagen remolding that continues to improve over several months. Clients will also experience a smoother texture from the enzyme peels and oxygen facials. Please note that clients should have realistic expectations and understand that it takes multiple treatments to achieve desired results. Maintenance treatments will be required. Our master aestheticians always combine an oxygen facial infusion with all our laser treatments to allow for deeper penetration of laser energy and quicker dermal repair. While most other medical offices will charge $500 for ST Refirme alone (in a package deal), we charge $400 for ST Refirme with an oxygen facial (valued at $650) and $350 in a package deal of five treatments. After a series of five treatments have been performed, the maintenance price remains at $400 for clients who keep up with maintenance every three months. Without the maintenance treatments, the price reverts to $450. Dr. Jin Lee obtained Medical Degree from Louisiana State University Medical Center and moved to Las Vegas in 1994. She opened Renew Medical Spa in Las Vegas in November of 2006. Opening Renew Medical Spa was the end result of Dr. Lee’s quest to improve her own skin conditions. After series of procedures over many years to correct her skin imperfections, Dr. Lee began searching for better ways to repair, to rejuvenate, and to protect and maintain skin health.